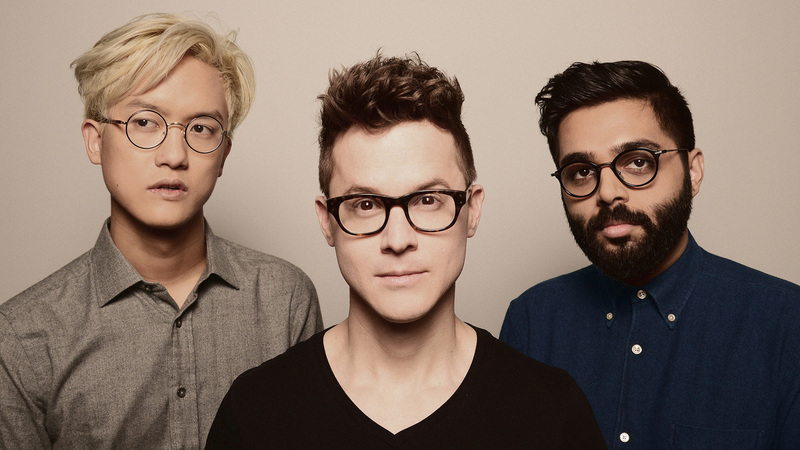 Founded in 2007 as a solo project of Ryan Lott, Son Lux is now a trio that includes Rafiq Bhatia on guitar and Ian Chang on drums. Son Lux is intense, cinematic, experimental, and virtuosic. The vocals are powerful yet shifty. The guitar is dynamic and not always what it seems. The percussion is complex and unpredictable. Son Lux’s latest work, Remedy, was released May 12, 2017 with all proceeds donated to the Southern Poverty Law Center, a non-profit organization dedicated to fighting hate and bigotry and to seeking justice for the most vulnerable members of American society. You can follow Son Lux on Bandcamp, Facebook, and Twitter.